SARDI pathologist Hugh Wallwork and SADGA chairman Alwyn Dyer. Nick May a local Durum Grower in the Mid North presented an enlightening talk on how they farm to grow DR1 Durum. 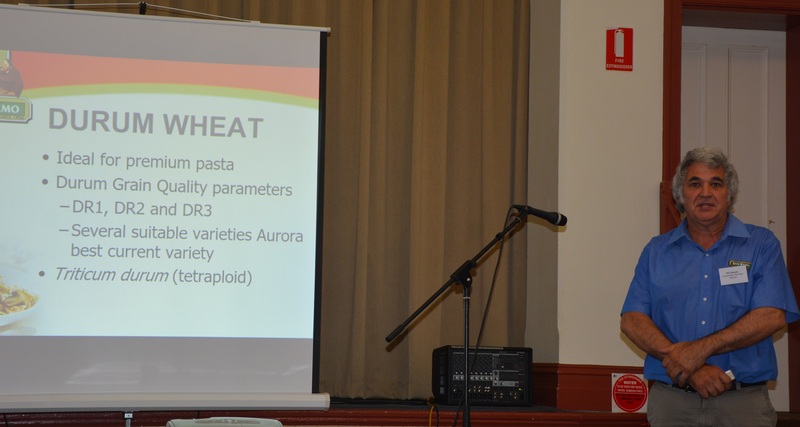 Dr Hugh Wallwork PIRSA/SARDI presented the outcomes to date of their trials in ‘Crown Rot Resistance in Durum’. 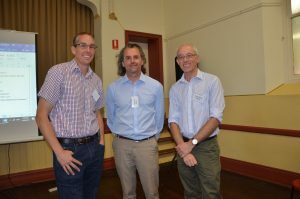 Mark Northcott and Matt Casey from National Bank gave an insight into how to manage surplus funds – debt repayment and new machinery purchase opportunities for funding through NAB. 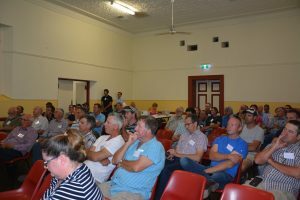 David Evans, Grain Growers presented on their new programs on source imagery and the Innovation Generation and Australian Grain Farm Leaders Program they are running. 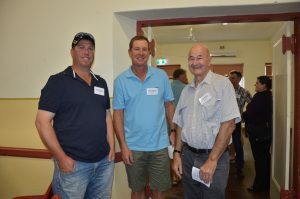 John Barbetti, IMTrade spoke about some new chemicals they have released which will work well on weed control in Durum crops. 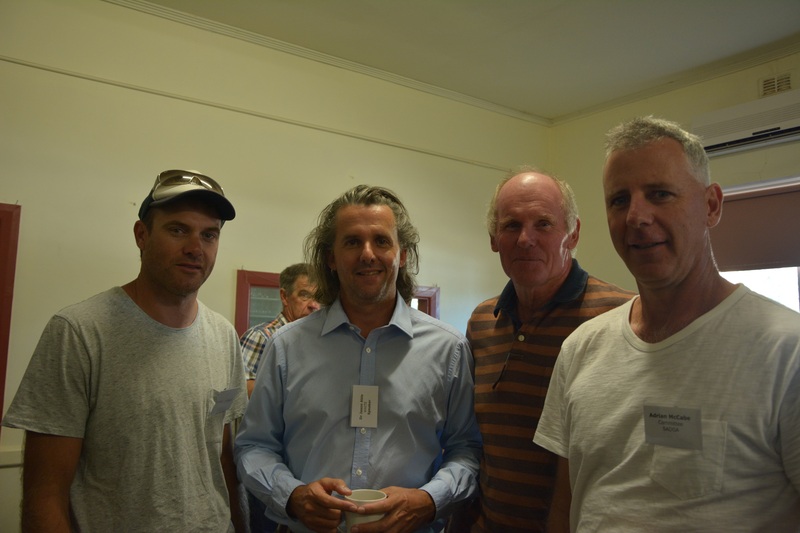 SADGA committee members Simon Mildren, Michael Jaeschke and Neville Sharpe. 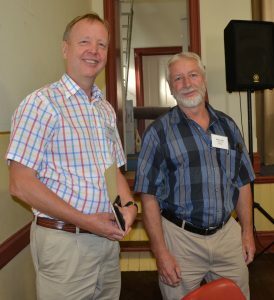 During the morning nominations to the 2017 SADGA committee were called with Neville Sharpe not seeking re-election and Michael Warnes from Owen accepting a position on the committee. A sumptious morning tea provided by Tarlee bakery was provided with a pasta lunch at the Tarlee Hotel where San Remo kindly donated the pasta, cooked brilliantly in sauces by the catering staff at hotel and drinks to wash it down donated by Grain Growers Ltd.
A great day out for all who attended.